Since leaving Surat Thani nearly 30 years ago, Waew Chantar, now a Bloomington resident, has launched successful businesses on two continents. 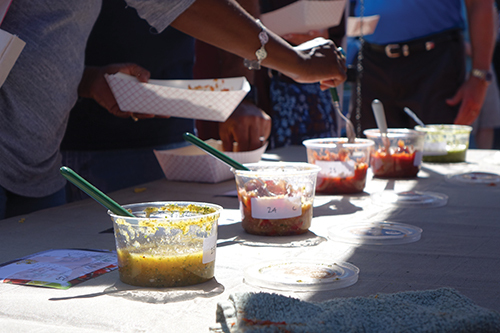 With double the entries from the previous year and not a cloud in the sky, Natascha Buehnerkemper, marketing administrator for Bloomingfoods, says the 29th Annual Bloomington Salsa Contest couldn’t have gone any better. On the eve of the 200th birthday of Mary Shelley’s Frankenstein, Cardinal Stage Company is taking on an adventurous stage adaptation of the Gothic classic. ‘Little Lost Monkey’ addresses issues of parental loss, foster care, and adoption through the eyes of Chipper, a monkey who embarks on a journey to find a new forever family. While Indiana, like most states, struggles with an ongoing opioid crisis that officials predict will get worse before it gets better, there are groups trying to mitigate the damage.